Your business data faces a number of threats at any time. Even if your employees are leery about opening shady emails and you have installed the latest antivirus software, a sparky space heater or a busted pipe can leave your business in hot water in more ways than one. Luckily, there are steps you can take to protect your data and information so you never skip a beat. Disaster Recovery is a type of backup that keeps secure copies of your data, servers and files safe from harm but easily accessible. Our servers and buildings aren’t just secure against digital threats, but Mother Nature as well. You can look at Disaster Recovery like insurance for your data. Everything from a computer hacker to a natural disaster can be undone with a click of a button. The savings come when your business can recover backed up files and still operate. 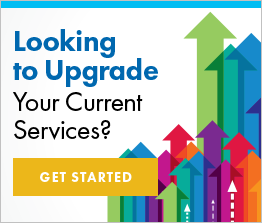 Instead of taking days, weeks or months to restore a functioning computer system, you can be back in business in a matter of minutes. That’s invaluable regardless of your size. When paired with our cloud environment, your info is easily manageable from anywhere, even a mobile phone. 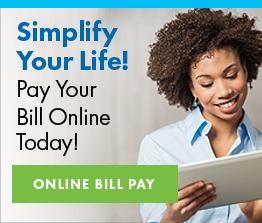 Our customers can also opt for an On-Net experience, where your data never leaves the Ritter private network or traverses the open internet. Ritter employs N+1 redundancy in two geographically diverse sites and has network redundancy and a 99.999% uptime SLA. This means that you have multiple ways to access your data stored in our cloud environment, so it’s always available when you need it. Servers, backup equipment, tech support — it all takes up space both physically in your office and on the balance sheet. Don’t worry about building a fireproof room or devoting some much-needed space to a server farm; we can handle all the storage as well as updates and upgrades for your hardware. How you prepare now determines if your business survives when disaster strikes. Ritter’s Disaster Recovery service allows you to quickly and easily restore business operations, minimizing the negative effects of downtime. We run the infrastructure; you get steadfast, reliable service. 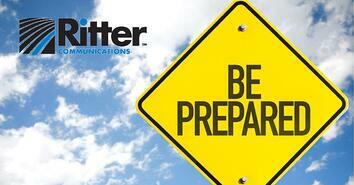 For more information on Disaster Recovery, contact Ritter Communications at 844.347.4126 or click here.